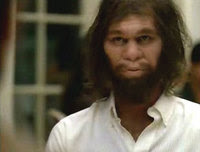 Click on the Geico 'caveman to check out his crib. You can 'click' your way around . They are afraid that if you even give the appearance of ID being a science you are giving the ID folks more credit than they deserve.